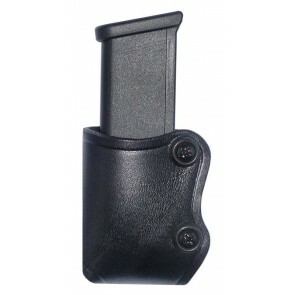 Carrying an extra magazine or two for your gun can be tricky. You could put the spare mag in one of your pockets, but then it becomes nerve-wracking to find and dig out of there in the chance that you have to do so under duress. 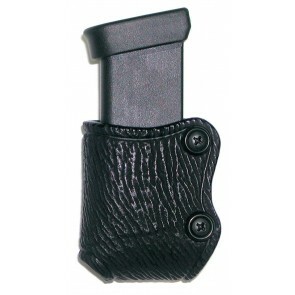 You could also somehow rig it to your usual holster, but then it becomes bulky and unwieldy. Fortunately, there are much better options out there. 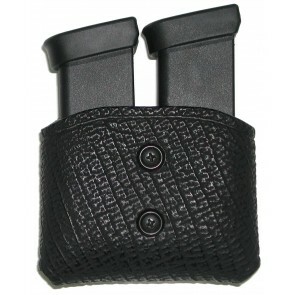 Our team at High Noon Holsters has curated the best and most comfortable materials possible for concealed magazine carriers. While it may not be necessary to always carry an extra magazine for every gun, it’s never a bad idea to have one — especially when it’s made easy and comfortable. 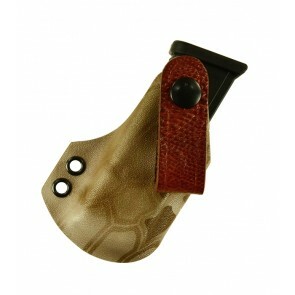 Over at High Noon Holsters, we have concealed holsters for ammo of nearly every type. From the lightweight, barely noticeable IWB Lite Duty Magazine Carrier that’s customizable for a range of gun manufacturers to the beefy yet comfortable MPT-11 Tactical Holster that’s adjustable to any position you could dream of, each holster we’ve selected can be customized for your needs. 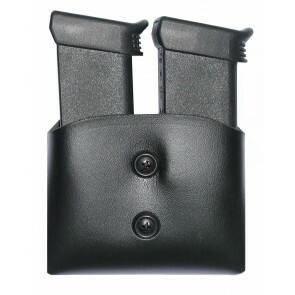 Whether you're looking for a Glock concealed magazine carrier or one for another leading manufacturer such as Browning, Colt, Ruger or Smith & Wesson, you'll find it at High Noon Holsters. 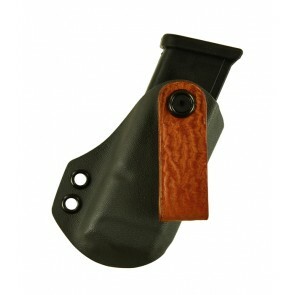 Here at High Noon Holsters, our goal is to offer a leather magazine holster that is perfect for every gun owner. 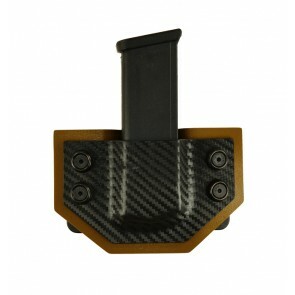 That's why you'll find numerous options that allow you to customize the item to your needs and preferences. 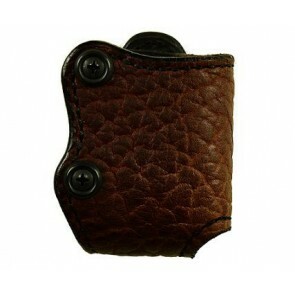 You can choose a holster made from cowhide or premium horsehide, leather materials known for their attractive appearance and remarkable durability. Color choices include black, natural and tan. 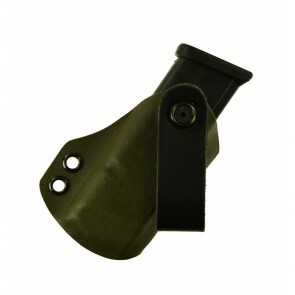 You can also find a holster specifically designed for left-handed or right-handed reloading. 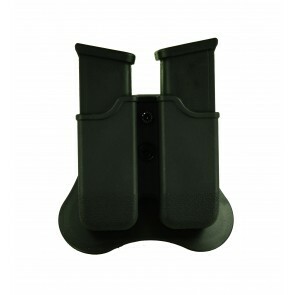 With our magazine carriers, you’ll never have to worry about running out of ammunition in any situation. 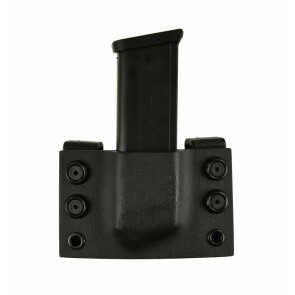 From the field to the range, our stellar range of mag carriers fit any of the needs you and your gun may have. Furthermore, you won’t have to worry much about any potential questions on the extra ammo. 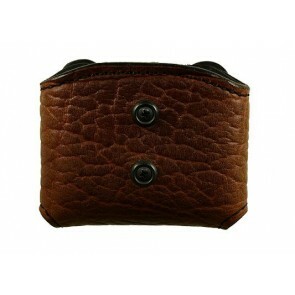 Our carriers are understated and subtle and aim not to catch the eye of anyone passing by. 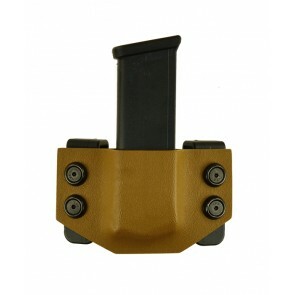 The magazine carriers at High Noon Holsters will never let you down. We make each leather magazine carrier with care and pride right here in the USA. All carriers must comply with the most stringent quality standards — our commitment to craftsmanship is unmatched in our industry. Our goal is to provide gun owners with a product that will exceed their expectations, helping us achieve our goal of 100 percent customer satisfaction. We also stand behind every item we sell. If you're not happy with your leather magazine carrier for any reason, let us know, and we'll do our best to rectify the issue. What's more, if we're unable to resolve the problem, you can return the carrier to us within 14 days of receipt, and we'll issue a refund — no questions asked. 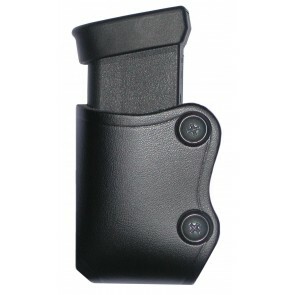 Our legions of loyal customers appreciate how easy it is to purchase holsters and other products from High Noon Holsters. We've made our user-friendly e-commerce website simple to navigate, which will save you time and aggravation. When you've found what you're looking for, add the items to your wish list. Then, complete your transaction using the fast, secure checkout process using your preferred payment method. 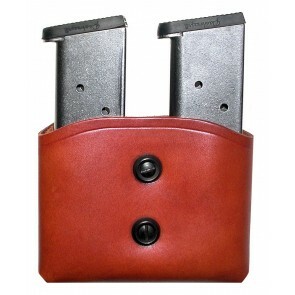 Please take a minute to browse our collection of leather magazine holsters and place your order today!